Neutropenia is a concerning side effect of chemotherapy and is defined as a decreased number of neutrophils (a type of white blood cell) in the blood. Neutrophils are the body's main defense against bacterial infections, and a reduction in these white blood cells due to chemotherapy can increase the risk of serious and life-threatening infections. Neutropenia can be mild, moderate, or severe, and is diagnosed with a blood test looking at the total white blood cell count as well as neutrophil count. Treatments may include preventive antibiotics or medications that stimulate the production of white cells by the bone marrow. The best treatment is prevention, and there are a number of ways that people can reduce their risk of infections while on chemotherapy. Chemotherapy attacks rapidly dividing cells, including cells in the bone marrow that become neutrophils. Some chemotherapy drugs are more likely to cause neutropenia than others. 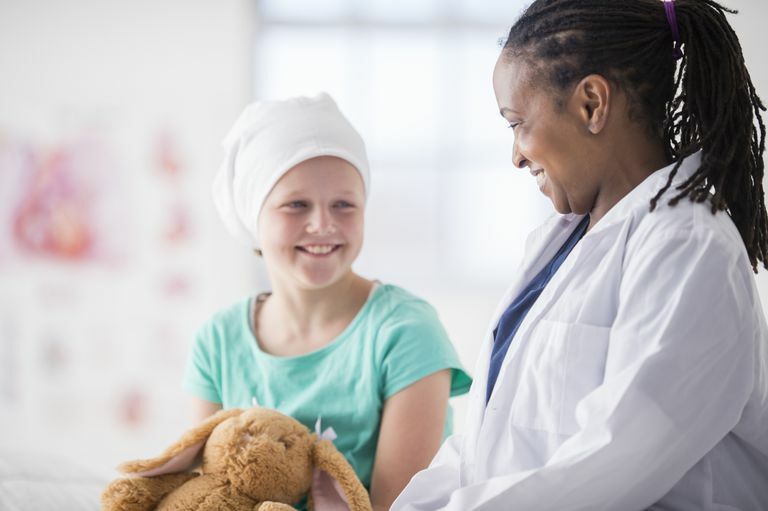 The dose of chemotherapy is also important, and higher doses of chemotherapy drugs (such as double dose therapy with breast cancer) are more likely to result in neutropenia than lower doses. Very high dose chemotherapy, such as that used prior to bone marrow transplantation, can cause severe neutropenia, and it is neutropenia that is responsible for the significant mortality related to this procedure. If your white count becomes too low, it may be necessary to hold off on your next dose of chemotherapy. In fact, a 2015 study noted that neutropenia is the most common reason why doses of chemotherapy drugs need to be limited. Preventative Antibiotics: Sometimes antibiotics are used preventatively before you have any signs of infection. Infections can be very serious when you lack the white blood cells to fight off bacteria. If you have an infection in this setting your oncologist will usually recommend hospitalization with intravenous antibiotics. Antibiotic treatment with broad-spectrum antibiotics is also recommended for those who have "febrile neutropenia," a fever that suggests an infection even if the source of the infection is not obvious. Practice careful hand washing (yourself and your loved ones): This is the most important thing you can do to lower your risk. Use liquid soap instead of bar soap. Stay away from people with infections. Avoid children (and adults) that have recently received vaccinations with live viruses, such as the chickenpox vaccine or the nasal flu vaccine (FluMist). Avoid any dental work until you discuss it with your oncologist. Avoid raw eggs and undercooked meat, fish, or seafood. Use safe cooking practices. Pets can be a source of infection when your white blood cell count is low. Have someone else change the litter box, clean the bird cage, or change the fish tank. Avoid handling reptiles. This is a reason to step back and allow others to help—take advantage of it. Ask your physician before using medications such as acetaminophen (Tylenol). These can mask a fever. Women should avoid tampons, and use sanitary napkins instead. Avoid cutting your cuticles. It is best to avoid manicures and pedicures as well until you complete chemotherapy. Practice good skin care. Address skin conditions related to chemotherapy with your oncologist. You should let your oncologist know if you are experiencing any signs of infection. He will probably give you guidelines on when to call, but certainly let him know right away if you have a temperature over 100.5 degrees F, shaking chills, or other signs of a serious infection. Keep in mind that your doctor will want to know if you have a fever, even if you don't have any signs of infection. American Society of Clinical Oncology. White Blood Cell Growth Factors. 07/13/15. Dian, M., Hirsch, B., and G. Lyman. Management of Chemotherapy-Induced Neutropenia: Measuring Quality, Cost, and Value. Journal of the National Comprehensive Cancer Network. 2015. 13:e1-e7.